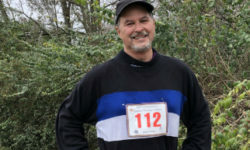 On October 2nd, I went public with my goal to run a five-mile “turkey trot” in mid November. At the time, I said I really didn’t want to do it. While I had been running regularly, I wasn’t running five miles and that distance felt like a stretch. In fact, in the week leading up to the event, I was truly dreading it. But I did want to get in better shape and I sensed that signing up for an organized five-mile run would motivate me to take things up a notch. And it did, culminating in a successful 5-miler on November 22nd. Some people are critical of goals, arguing that it’s more effective to develop a process for moving toward what you want to accomplish rather than setting goals. But I think they work hand in hand. You set a goal and then figure out a process for getting there. More specifically, here are the steps I recommend. I knew I wanted to get in better shape. That was the big picture. What about you? Since this is a financial blog, what aspect of your financial life would you like to improve? Would you like more margin in your monthly cash flow? More money in your retirement account? Doing what I was doing week in and week out wasn’t getting it done. I knew I needed to run farther than the 2-3 miles I was running at a time, but it wasn’t happening. So, I set a goal of completing an organized 5-mile run. What’s your financial goal? $3,000 in savings in 12 months? By setting that goal, I boxed myself in. In order to have any chance of completing a 5-mile run, I would have to increase how far I was going in my training runs. So I started pushing myself, systematically increasing how long I ran on a treadmill each Tuesday and Thursday morning, and upping the distance I ran outdoors on Saturdays. To get $3,000 in savings over the next year, set up an automatic monthly transfer of $250 from your checking account to your savings account. You will have boxed yourself in, forcing yourself to find a way to meet your living expenses with $250 fewer dollars to spend each month. There is something fairly scary — and very empowering — about going public with a stretch goal. If you’re married, tell your spouse and someone else. If you’re not married, tell a couple of good friends. Originally, I signed up for the 5-mile run on my own. I imagined that the run would not be easy and I just kind of wanted to gut it out on my own. But then my wife, Jude, surprised me by signing up as well. And that turned out to be a very good thing. We were already in the habit of running together on Saturday mornings, but now we could push each other, and we did. I know I wouldn’t have run as far on some of those Saturdays if I had been running on my own. See who else wants to pursue a financial goal and work together, asking each other about your progress and praying for each other. A common bit of financial advice is to celebrate some of the milestones on the way toward a goal like getting out of debt. But I don’t think that’s good advice. Let the milestone be enough of a reward and keep going. Stopping to celebrate kills momentum and momentum is important to the accomplishment of a goal. One danger in accomplishing a goal is letting down. So far, I’ve been continuing to run the distances I had moved up to prior to the five-miler. However, I know it’ll help to have another goal, so I’m in the process of looking for either another five-miler or a ten-kilometer run to sign up for in the first quarter of 2019. After you complete your financial goal, set another one. While I wouldn’t say the 5-mile run was easy, it was easier than I thought it would be. For the most part, I think that’s especially because of two of the steps listed above: The training process I followed in the weeks leading up to the run and Jude running with me. Anything that’s difficult to do is made easier by having someone who’s in it with you. What have you found especially helpful in accomplishing goals?